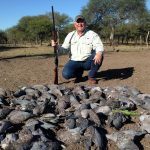 Have you ever dreamed of Wingshooting, Big Game, and also Fishing, all in the same location, without driving long hours, neither having to fly to another province, charter, etc? Your dream come true! Now it is possible! Argentina’s Best Hunting is the only company capable of offering these 3 services, only 40 minutes, as maximum, route to the field. 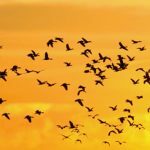 Doves, Ducks, Partridges & Pigeon Hunting, Dorado Fishing… are you wishing for more? perfect, we can also offer Water Buffalo, Axis Deer, Wild Boar and Blackbuck Antelope! 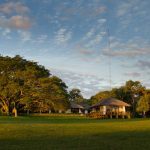 As always, our main objective is to offer you the best quality and level of hunting and fishing, but also the best class in accommodation, gastronomy, service and attention to the detail as you deserve, to have a full and great experience on your trip to our country. 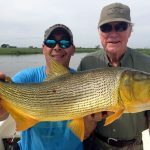 Argentina is well known as a great destination of Dove and Pigeon hunting in the center of the country, and La Pampa or Patagonia for Big Game and also fishing in La Patagonia. 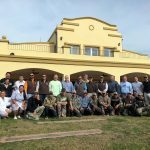 The great news is that in Entre Rios and Corrientes Province, northeast of Argentina, you can have the possibility of shooting doves and pigeon, with no limits, partridges (limit of 8 per day) and ducks (limit of 25 per day) hunting from May thru August, dorado fishing all year round, and also Big Game Hunting, with 4 different species being Water Buffalo, Axis Deer, Wild Boar and Indian Blackbuck Antelope, with high average performance (between 75% and 95%) in more than 40 thousand hectares! Are you going to miss this opportunity? as always we can prepare an “a la carte program” and we adapt ourselves to you, arranging the package according to your preferences and timing, and not the other way around. Just let us know what would you like to do, and we will take care of the rest.